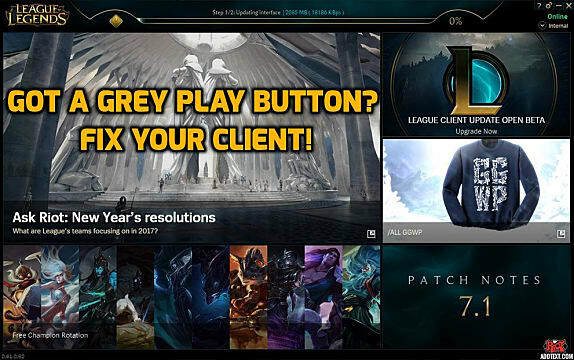 Over the last couple of days, a few players have been experiencing a bug where the play button is greyed out in their League of Legends client. This can be very frustrating -- because what's worse than starting the game client only to find out you can't play it? So to help those of you afflicted with this issue, I tried to find a solution. Luckily, most of these issues are pretty easy to fix. Let's go over them! A few months back, Riot created a new client for the game. This menu is where you launch games from, see your friends list, and access various other League-related things. If you're using the second one, that could be the issue. The client itself, despite being the more default version at this point, is still being tested. Luckily, the old client is still available -- so this could be a simple way to resolve the problem. 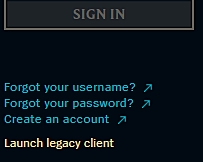 At the bottom there, click "Launch legacy client". 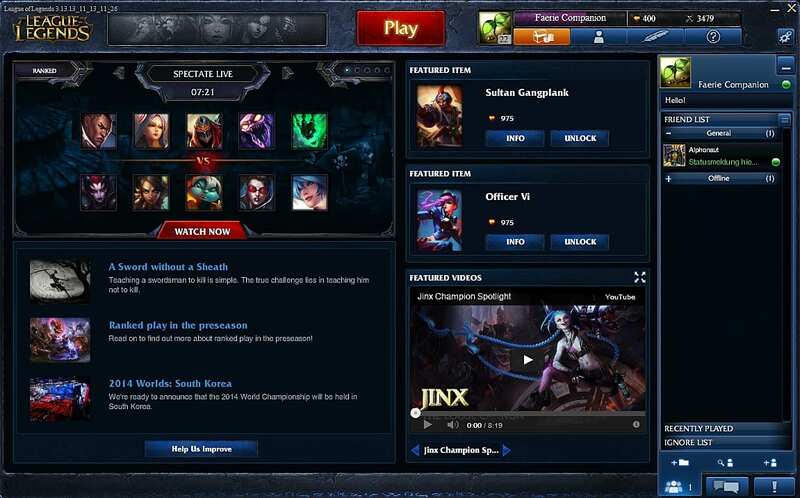 This will revert the alpha client back to the old one and possibly fix the issue. If you know the servers are working, and you know that you're not running a buggy version of the new client, then it's likely that you simply need to update your current client so that it can run the game or patch to the latest version. Updating your client is easy. Just restart your client (or your computer) and an auto-update should begin on its own. 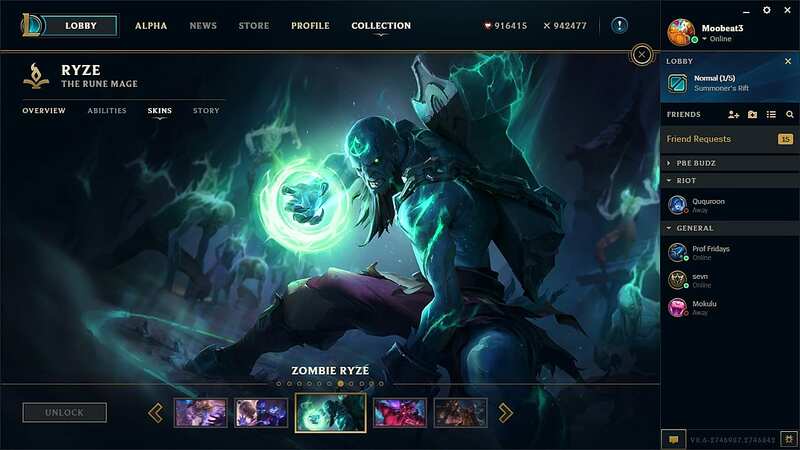 But on the off chance that it doesn't, you can always download the newest version of the client directly from the League of Legends website. It's absolutely possible that the client won't let you in because the League servers are down. If this is the issue, there's not a whole lot you can do about it. While it's frustrating, all you can really do is wait. But rest assured that Riot won't allow a server blackout to go on for too long. To make sure that this isn't the issue, you can check the League of Legends server status page to make sure all servers are online and ready to go. Taking a look at that page now, we see that servers are running just fine. So it seems this isn't the real issue. Sadly, there isn't much more information regarding this issue on the League of Legends subreddit or the official forums. These are just a few of the suggested fixes given from those sources, and hopefully one of them works for you. Have you found a different solution to having a grey play button? Need more help troubleshooting bugs in League? Let me know in the comments!